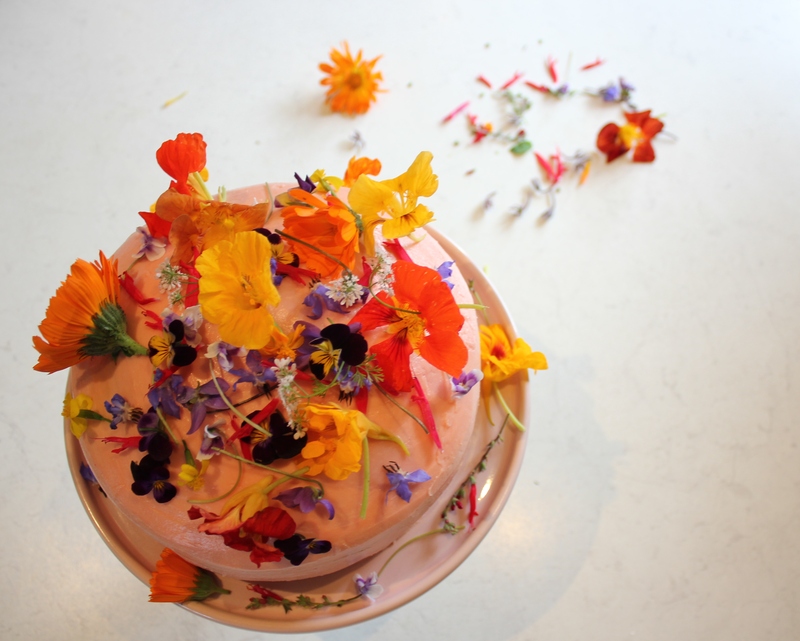 My last post featured quite a few edible flowers. Truth be told, not all of those edible flowers needed to be on the cake, but they looked so gorgeous that I couldn’t resist (see the recipe here.) If I had an unlimited supply of blue starflower, johnny jump ups, violets and pineapple sage, I would have only topped the cake with these four. Unfortunately, all of these flowers are teeny tiny, and it would take a whole lot of them to cover a cake. Also, I purchased a mixed lot of flowers, so I didn’t really have a choice in what went on my cake. I was so excited to put them on the cake that I didn’t take a picture of them in their packaging. They came in an unassuming Tupperware container which had a sticker with Darling Mills written on it. The man at the stall selling the flowers was really helpful. He said that the flowers would keep for a week in the fridge, as long as they were kept in the Tupperware container that I bought them in, which had a small amount of water in it and kept the flowers nice and hydrated. Violet: these darling little flowers have a slight cucumbery edge to them. They’re pretty insubstantial, so if you’re uninitiated into the world of flower eating, they’re probably a good flower to start on. They also grow in many peoples’ gardens quite wildly. Go and have a look in the untended corners of your garden! 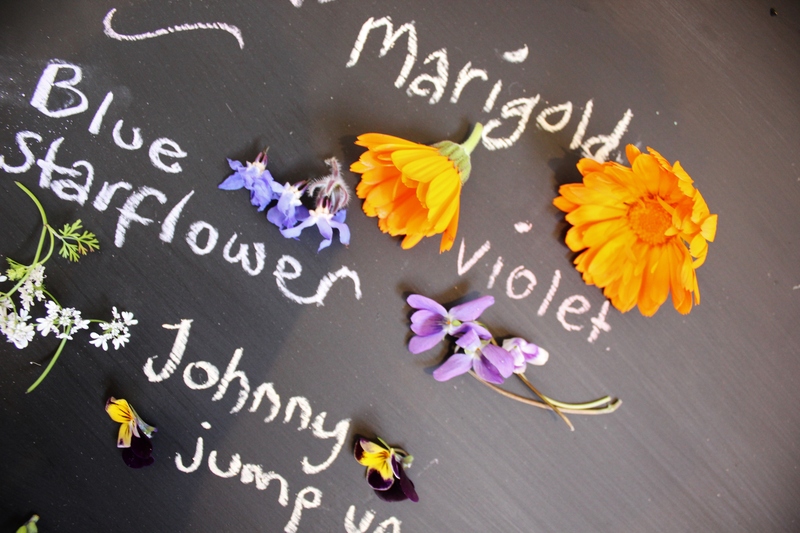 Johnny jump ups: These guys are related to the violet, and visually, they’re my favourite flower of all the edibles. The blues and purples and yellows that they muster are almost too good to eat. If you do choose to eat them, however, they’re slightly sweet and have a vague earthy taste – not earthy in a dirt way, earthy in a fresh way. Pineapple sage: Oddly enough, these tubular cutenesses taste nothing like either of their namesakes. I’m wondering if I’ve misidentified my flowers, because that seems like an anomaly. They’re cool and delicate when you eat them – they would suit cakes and salads, as they don’t have an overwhelming taste. Blue starflower: these funny little flowers are super delicate. They have a weird, spidery stem which is covered in tiny hairs which I picked off before decorating and eating them. They don’t handle being out for long though, they dehydrate and shrivel up after about an hour – so if you want to eat them, do so quickly! Or store them in a Tupperware container sprayed with a small amount of water. Coriander flower: tastes, unsurprisingly, like coriander. I’ve only recently started to appreciate the taste of coriander, so I’m not an expert – I do know, however, that these flowers are less overpowering and subtler than their leafy relation. Nasturtium: I first tasted a nasturtium in my neighbour’s garden when I was about six. I used to play with her grandson and she was out gardening while we played in the backyard. They had amazing rows of carrots, tomatoes, potatoes and more. And she was tending to the nasturtium. She told us that they were edible, and I leapt at the chance! I was pretty disappointed, I’ve always had a sweet tooth. Nasturtiums are beautifully soft to bite into, but they have this peppery edge to them! They’d pair well with salads, but aren’t really suited to your average chocolate cake. Marigold: I’m not a fan of the marigold. It was too much like a flower. I know that sounds ridiculous, but many of the smaller flowers were small and delicate – the marigold was sturdy and quite hard to bite into! I also found a bug on it as I was washing them. That’s completely arbitrary, but I don’t think it helped – first impressions are important!! This was my first time eating flowers with a critical approach, so don’t take my word as gospel. I’m enjoying writing about food that is really new for me – it’s making me really think about the tastes and textures, it’s a really valuable experience! Have you eaten flowers before? What do you think they taste like? And what flowers should I try next? 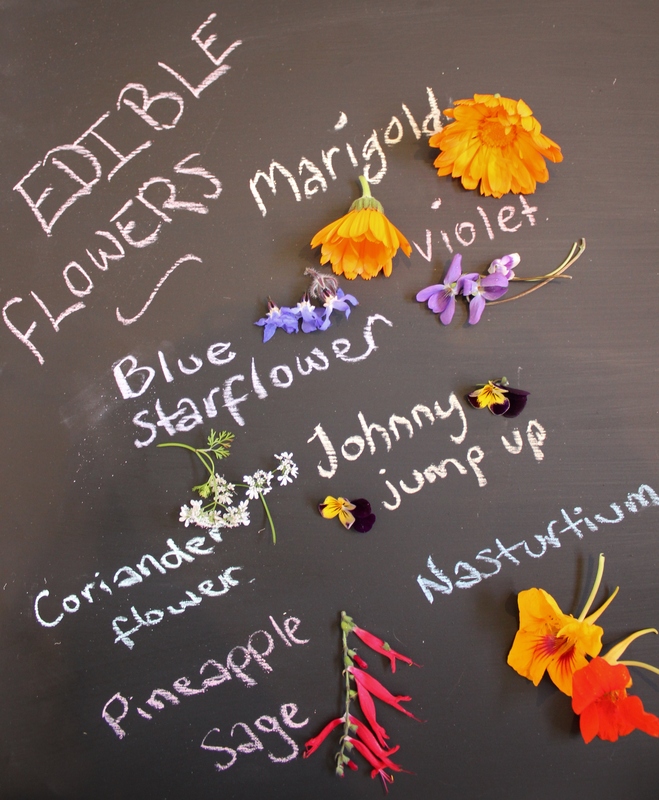 Edible flowers are so beautiful as decoration, have never used them and should start, they really make for a beautiful presentation. They’re a little hard to buy in Australia, (not sure how readily available they are where you are) but they’re worth seeking out! That is a lovely cake – stunning colours! Where did you get your flowers from? I’m from Australia myself. Thankyou! 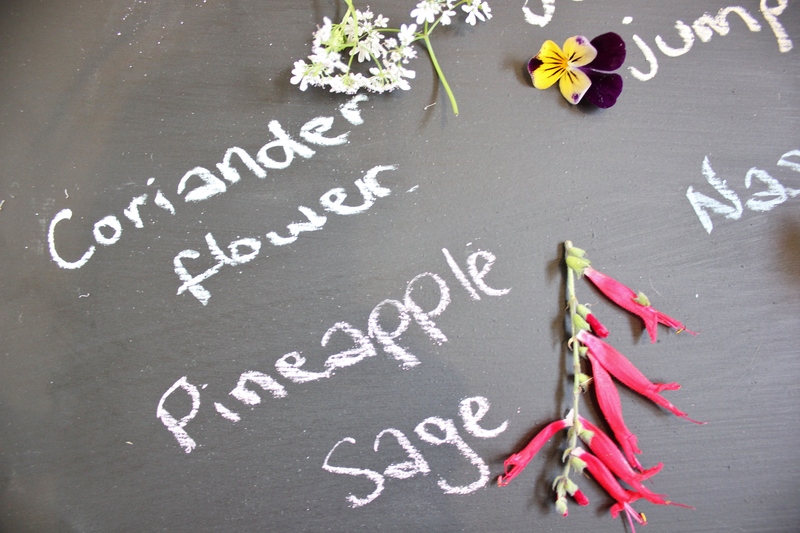 The flowers were from Darling Mills farm – you can google them, I think they sell in various locations.